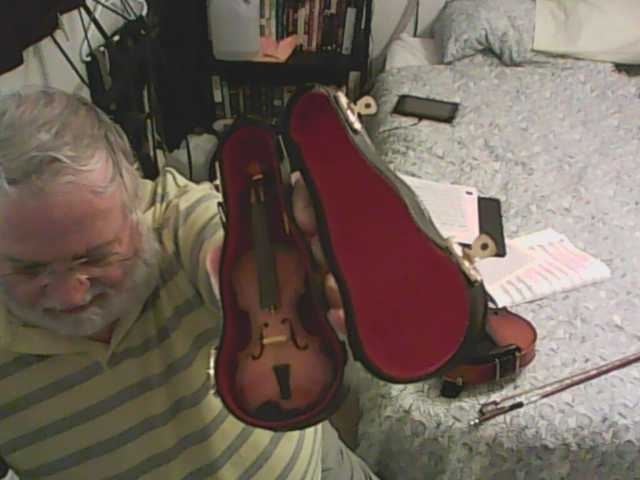 All being well this should be a picture of my newest violin, A 69th Birthday present. Nice!!! I think the challenge of playing that is really going to up your skills! And what are your plans for that violin? First I will build a bow for it, probably covered in gold leaf and at the appropriate time I will hang fiddle and bow on the Christmas tree. Awesome violin! and Happy Birthday! A necklace charm how sweet!!!! Good for eyes and ears! !